So many people have become frustrated with the concept of link building over the years, due in large part to the difficulty increase in procuring valuable links. We all chuckle a bit when we see spam comments or blatantly baiting responses on blogs and other websites, where people are attempting to build credibility for their own sites by linking back to it. This used to work – and still can when done properly – but it is not the future of SEO or of link building. So what options do you have that defy the failed notions of the past and can still produce benefit? 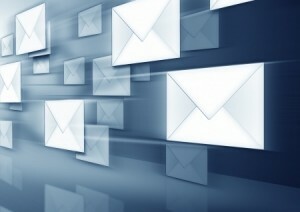 As it turns out, using email alerts to boost link building prowess is a valid and worthy method. We’ll discuss some ways to use this tactic below. Email alerts can be used to find just about anything, but in link building, your first target should be to find who is linking to your competitors but not to you. When pinging URLs across the web for this information, you’ll discover a plethora of opportunities. Your email alert can be configured to show every site that links to a competitor you specify – while removing the ones who already link back to you – which will provide tons of juicy leads for potential links. If the link is a direct mention or promotion by the site in question, then it is pretty likely that you’ll be able to snag a mention, too. After all, most sites are more than willing to promote any and all valuable services in a niche if they a) already are promoting one or more of them and b) are contacted by the service in question. Another great way to grab links is to use email alerts to find out which sites already like you, but do not give you a direct shout-out in the form of a link. While many webmasters understand how links are important, some will give you attention but forget to add a link so visitors can check you out. If you create an email alert that finds the sites that a) mention you but b) do not link back to you, then you can have a field day going through each to see which ones are positive (it should be most of them). With these websites documented, you’ll then be able to reach out to each website and ask politely that they add a link to the blurb or mention about you. Last but not least, you will also want to create a set of email alerts that notify you about a variety of comparable services that do not link to you. These services are not to be considered the same as your competitors; they may be individuals or brands who provide a similar service – or one facet of the services you provide – but not an identical or very similar solution. In many cases, you may be able to convince the sites of those who link to them to also starting pinging URLs from your site, especially if you can prove that your product or service is either superior or offers features that the other does not.